Front row, left to right: Roger Pratt, Manager; Tom Weirich, Bill Sherman, Joe Barry, Jerry Jackson, Charles Gill, Jim Schoon, Scott Lawson, Rich Kaufman, Manager. 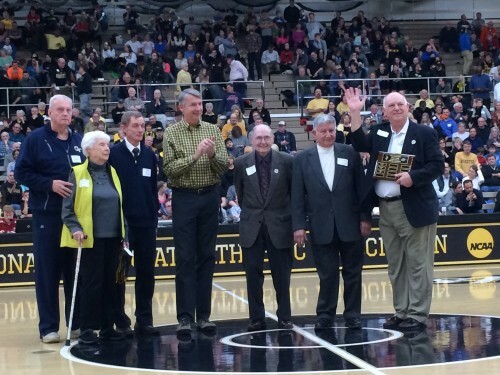 Second row: Coach Jim Snyder*, Milt Plunkett, Manager; Mike Haley, Paul Storey, Captain; Gary Lashley, Lloyd Buck*, Ken Brown, Tom Davis, Don Hilt, Kermit Blosser*, Assistant Coach; Dale Bandy, Assistant Coach. Row 2: Frank Morgan*, John Rowe, Manager; Tom Davis, John Schroeder, Lloyd Buck*, Don Spires, Don Hilt, Richard Kaufman, Roger Pratt, Head Manager. Row 3: Coach Jim Snyder*, Kermit Blosser*, Assistant Coach; Mike Haley, Phil Williams, Gary Lashley, Ken Fowlkes, Russ Hamilton, Al Hart*, Trainer; Dale Bandy, Assistant Coach. 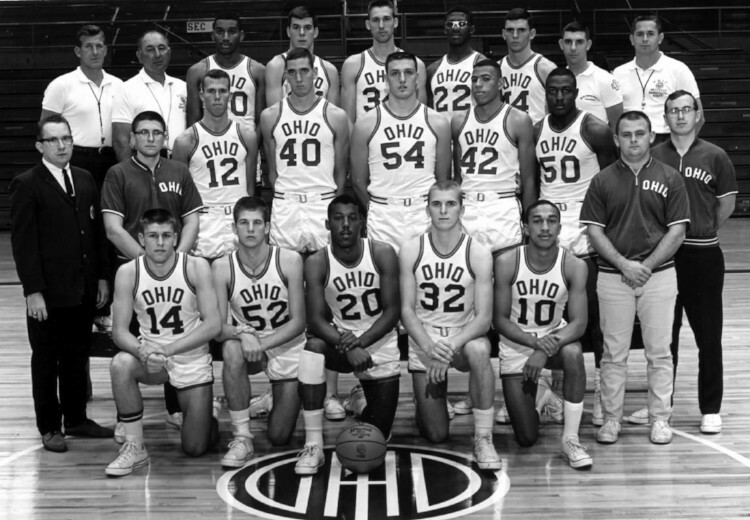 Midway in the 1960s, Ohio University had a pair of basketball teams that brought the school a measure of success that has not been duplicated at the school in Athens. 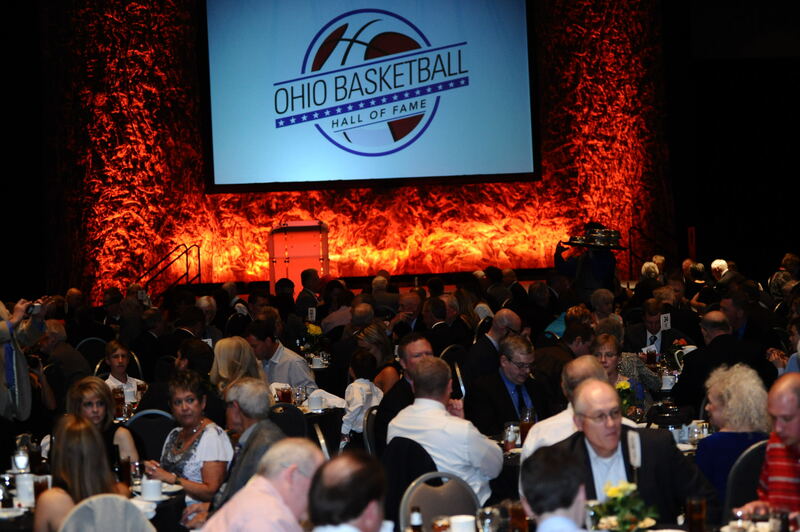 Coach Jim Snyder, who was inducted in the Ohio Basketball Hall of Fame in 2007, guided the Bobcats into the NCAA Tournament field two years in succession. They haven't had back-to-back trips to the big dance since. 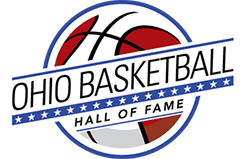 Led by senior guard Jerry Jackson and junior forward Don Hilt, OU went 21-6 in 1964 and won the Mid-American Conference Championship with a 10-2 record. Then the Bobcats became the first MAC team to reach the Elite Eight by winning a first-round game with Louisville, 71-69 in overtime, and upsetting the fourth-ranked Kentucky Wildcats, 85-69, in the Mideast Regional. Their party ended when they fell to No. 2-ranked Michigan, 69-57. Jackson was the Bobcats' season scoring leader with a 17.6 per game average and Hilt averaged a team-high 10.4 rebounds. Both were All-MAC first team selections. Forward Paul Storey made the second team. Jackson finished his career with 1,205 points. 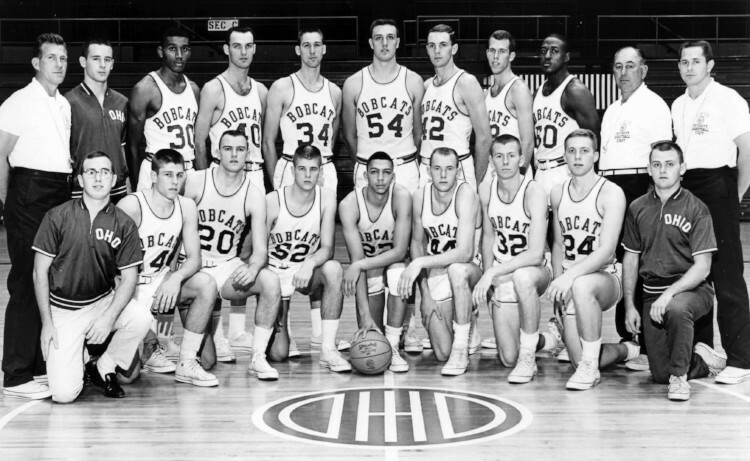 The Bobcats bounced back to win the MAC title again in 1965. Hilt averaged 19 points and 11.8 rebounds and regained his spot on the All-MAC first team as OU had a 19-7 record and won the MAC title with an 11-1 record. This time the team's NCAA tournament visit ended quickly as the Bobcats suffered a heartbreaking 66-65 loss to the University of Dayton in Bowling Green, Kentucky. 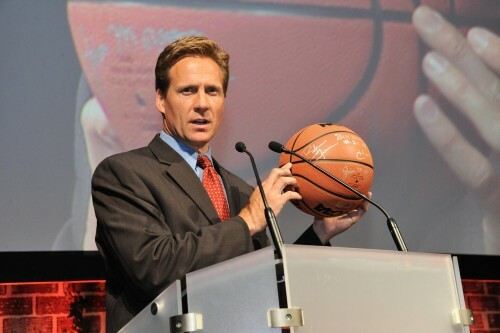 Hilt finished his career with 1,252 points.